Philippines Airlines has signed a contract with AFI KLM E&M for CFM56-5B Support, thus extending its cooperation with the MRO on engine maintenance. The contract covers shop visits and repair services for twenty CFM56-5B engines on the carrier’s fleet of A320s. The engines will be overhauled in the Paris Orly engine shop. The partnership between AFI KLM E&M and PAL began in 2010 with the signing of an initial contract covering the carrier’s GE90 powerplants. In 1994, Air France was the launch airline for A320s equipped with the CFM56-5B engine. The operator’s needs gave the MRO a unique position to acquire expertise on all CFM56-5B generations, along with in-depth knowledge of the operational requirements and usage of the most diverse fleets. The first shop visit for one of these engines took place in 1999. Currently, AFI KLM E&M oversees an average of between forty to fifty such visits a year in its shops. “With this latest contract, we are pleased to add another building block in our relationship with Philippines Airlines, and are proud to strengthen our position with the CFM56-5B in the region,” said Dominik Wiener-Silva, Vice President Sales Asia Pacific AFI KLM E&M. 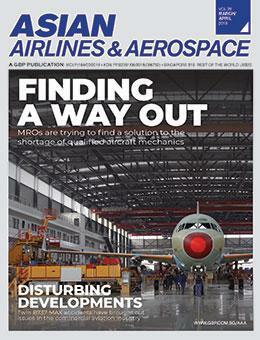 Among the MRO’s other customers are Air Corsica and Air Arabia.